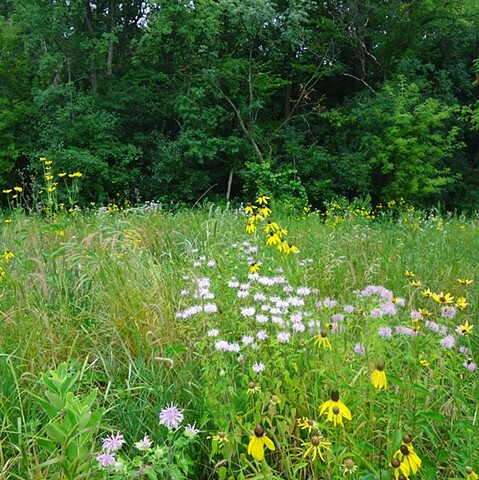 Native prairie and savanna plants. Native plants in the foreground. Invasive buckthorn on neighboring property in the background.